Michael J. (Mike) Rodden played football, hockey, lacrosse and soccer with great intensity. During four years at Queen’s he won 15 letters in football and hockey. 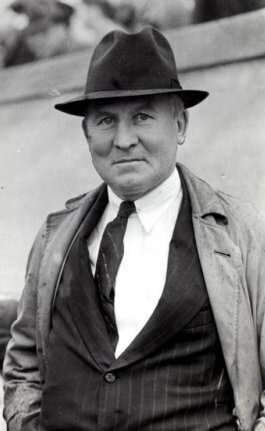 Mike Rodden coached a total of 42 teams, won 27 league championships, two interscholastic titles and led the Hamilton Tigers to Grey Cup Championships in 1928 and 1929. Rodden was credited with the introduction of numerous innovative tactics throughout his playing and coaching career. Michael J. Rodden was also an exceptional hockey coach and referee and is a member of the Hockey Hall of Fame.